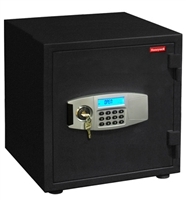 When quality, durability, and affordability come together, it is a formula for a great value safe, which is the case with our Honeywell 1-hour fire rated home safes. 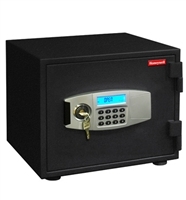 Whether you’re looking to keep “sticky fingers” or prying eyes off of your important documents and valuables, or to secure your personal firearm or other weapons from children or potential theft, this safe is a great balance of function and practicality. For home or business security, you can rest assured knowing your irreplaceable and expensive treasures, medications, and other assets are protected by a name you can trust. With a durable steel body, electronic locking mechanism, external override, and bolt-down design, you’ll feel at ease after installing your Honeywell safe and securing your belongings inside. Imagine the satisfying clang of the steel door closing as you click the links below, and view the different options and models we have for sale, and remember, free shipping is always included.